When disaster strikes and grocery stores aren’t open, it helps to have a garden of your own to grow vegetables to help feed yourself. 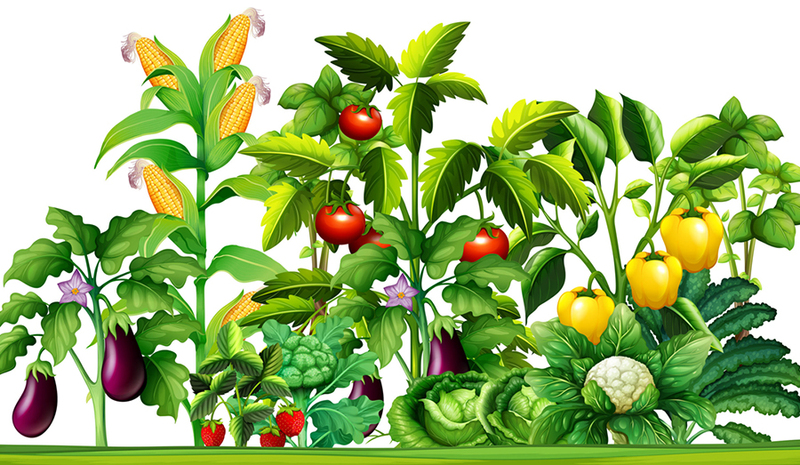 While there are dozens of different vegetables that can be grown in your garden, focusing on a handful of crops that are easy to grow and provide good nutritional value is the way to go. Root crops grow best in spring and fall; hot summer weather can cause them to bolt, and will often result in hard, fibrous, inedible roots. They need pliable, well-draining soil that is not too fertile. Soil that is too rich can result in excessive leaf production with very small roots. Both the greens and the beet root are edible. Beet greens are a good source of vitamin K, vitamin A, vitamin C, calcium, and iron. Beet roots are a good source of fiber, potassium, and vitamin C.
Carrots are an excellent source of vitamin A, and a good source of vitamin C, potassium, and various B vitamins. They are easy to grow and come in a wide variety of cultivars. Potatoes are an excellent source of vitamin C, vitamin B-6, and potassium, and a good source of fiber, magnesium, and iron. They take a little more effort to grow than some plants, but they can also be grown in containers. Radishes are a good source of vitamin C and fiber. The greens are incredibly healthy too and are a great source of vitamins and minerals. Radishes germinate and mature quickly, so they can be seeded throughout the growing season, although they tend to grow better in cooler weather. Rutabaga is an excellent source of vitamin C, and a good source of iron, calcium, potassium, magnesium, vitamin B-6, and fiber. It can be eaten roasted, or mashed by itself or in combination with potatoes. These vegetables grow best in warm, sunny weather. There are numerous varieties of beans that can be grown, each with its own unique characteristics and flavor. In this case we’re talking about growing beans for the dried bean itself, harvested from the bean pod after it matures and dries on the plant. Beans can be used for soups and stews. They are easy to grow and are a good source of fiber, protein, and B vitamins. They also help to anchor nitrogen in the soil and can be planted in combination with heavy nitrogen feeders such as corn, or planted in corn plots in the following season after corn harvesting. Corn is a staple crop that can be eaten off the cob when growing sweet varieties, or milled to turn into grits, cornmeal, or corn flour when growing dent, flint, or flour corns. Corn requires a lot of nitrogen, a lot of space, and a lot of water. It is a great source of iron, B vitamins, magnesium, protein, and potassium. Peppers grow in all shapes and sizes, from sweet to super-hot. They generally require significant amounts of sunlight and warm weather to flower and fruit. Peppers can spice up any diet, and they are a good source of vitamin A, vitamin C, and vitamin B-6. In tropical climates with no danger of frost, peppers can be grown outdoors as perennials. There are many different types of squash that can be grown, all of which will require a lot of room to grow as they spread along the ground. Some examples of squash include yellow summer squash, zucchini, acorn squash, spaghetti squash, and butternut squash. If you have garden pests such as mice, rabbits, and chipmunks, they may eat the male blossoms before they are able to pollinate the female blossoms, so you may need to watch for that. All the members of the squash family are a good source of vitamins and minerals, particularly vitamin C.
Tomatoes also come in a wide variety of cultivars, with fruits ranging from cherry-sized to large beefsteak tomatoes that weigh a pound or more. Tomatoes are a good source of vitamin A, vitamin C, and potassium. They need full sunlight to reach their maximum fruiting potential. Determinate tomato plants are smaller in size and generally set all their fruit at once. Indeterminate tomato plants can grow very tall and set fruit throughout the growing season. Green leafy vegetables are a good source of iron and can form the basis of tasty salads. Arugula is a simple green to grow, and it provides a nice peppery flavor when used in salads. If you let a few plants go to seed, it can quickly take over an entire garden, growing like a weed. Arugula is a good source of vitamin A, vitamin C, magnesium, and iron. Chard varieties can grow with red- or white-stalked leaves. The red-stalked leaves can sometimes be mistaken for beet leaves. Chard is a good source of vitamin A, vitamin C, and magnesium. Kale is a member of the cabbage family and is tasty eaten both raw and cooked. It is a great source of vitamin A and vitamin C, and a good source of calcium, magnesium, potassium, and vitamin B-6. Lettuce comes in numerous varieties, both head lettuce and leaf lettuce. Head lettuce is harvested once the entire head has finished growing, while leaf lettuce can be harvested leaf by leaf as the leaves mature. Lettuce is an excellent source of vitamin A and a good source of various other vitamins and minerals. Spinach grows relatively quickly, and its leaves can be harvested as they mature. For best results, it helps to grow a number of spinach plants in order to have enough edible leaves to harvest at any one time. Spinach is an excellent source of vitamin A and vitamin C, and a good source of magnesium, iron, and vitamin B-6.